Lightweight. Powerful. Convenient. 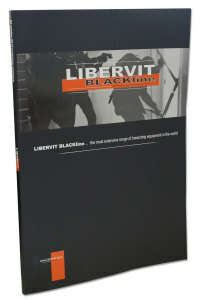 The Libervit OP53 gets the job done. The OP53 hydraulic door opener ensures a quick and no-noise opening of non-armored, interior opening doors. 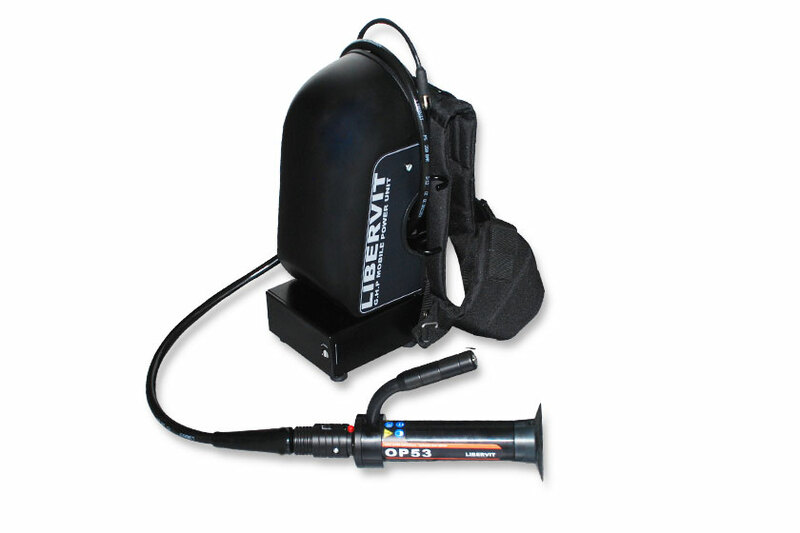 The OP53 model is operated with either the LIBERVIT hydraulic power unit or the LIBERVIT hand pump and the hydraulic hose. 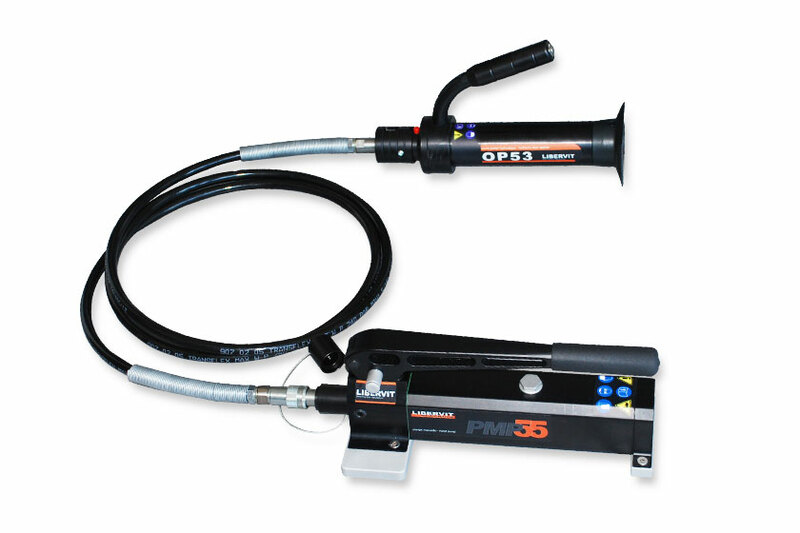 The OPM53 kit is composed of an hydraulic hand pump (reference PMP), a 3 m hydraulic hose (reference LFM3), a door opener (reference OP53) and carriage bag (reference STOPM5). It ensures a quick and no-noise opening of non-armoured, interior pening doors. Opening of single lock doors can be achieved in one action, multi point doors need to be done point by point. The OPH53 kit is composed of a hydro-electrical power unit (reference GHP), a door opener (reference OP53) and a carriage bag (reference STOP5). It ensures a quick and no-noise opening of non-armoured, interior opening doors. Opening of single lock doors can be achieved in one action, multi point doors need to be done point by point. Being equipped with a built in electrical control panel, the GHP hydraulic power unit can be kept on the back whilst carrying out operations. For more information about the Libervit OP53 including technical specifications, videos and other material, please contact us by completing the form below.